Cite as: Campbell, Sandy. 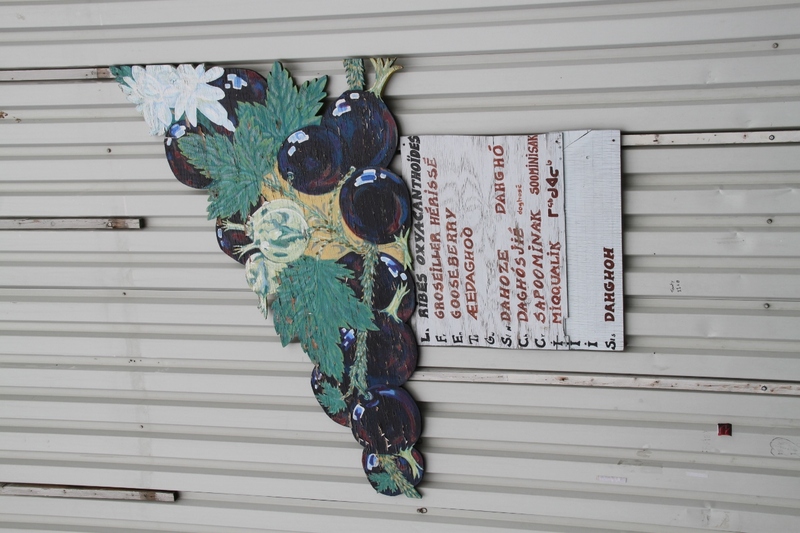 Painting of gooseberries on the south exterior wall of The Yellowknife Inn. 2015. Photograph. University of Alberta. ERA: Education and Research Archive.